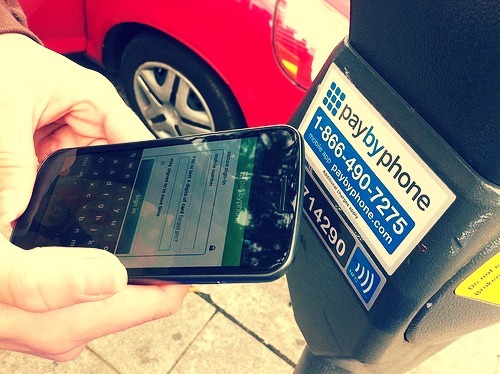 In the past, taking payments from customers while on the go was difficult and time-consuming. Then came the mobile credit card reader, and things got a bit easier. Welcome to the next generation of mobile payment. Welcome to SmartTrade. When they first came out, mobile credit card readers were great. They allowed tradesmen and small business owners to take credit card payments when they were out on a job instead of having to send paper bills through the mail, saving a lot of time, hassle, and paper. But the credit card readers were big and unwieldy, and sometimes they wouldn’t even get reception in the city! The card manufacturers quickly discovered that something new was needed. 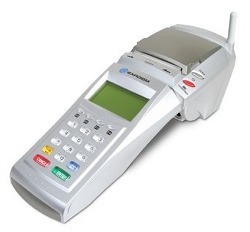 Technology moves awfully fast though, and soon mobile card readers became much smaller. But these have problems, too—they’re hard to use, and the small fittings that attached them to mobile phones are prone to break, especially if you toss your phone in your bag. Not to mention the fact that it’s really easy to lose something so small. That’s why we decided to make something completely new. Today, there’s a new generation of tradesmen and small business people and a new way to get paid. No more dealing with hardware that attaches to your phone—with the SmartTrade mobile payment app, all you need to do is zap your customer’s debit or credit card with your mobile phone and you’ll get paid in six days or less. It turns your iPhone into an iPhone Credit Card reader and your Android phone into an Android Credit Card reader. Couldn’t be easier. In an age when your iPhone is one of the most crucial tools of your trade, having a mobile payment app that lets you manage quotes, bookings, jobs, and payments on the go is one of the keys to running an efficient business. Your customers can approve quotes from their e-mail inboxes, give you partial payments, and even pay online! And integration with our online dashboard means you can work more efficiently when you’re at your desk, too. Being able to run your entire business from your mobile makes credit card readers look well out-dated. Small businesses are often some of the first to adopt the newest and best technologies—not being buried in bureaucracy and red tape has a lot of advantages! You’re a small business, and you’re going to see some major changes in how businesses are run. With a mobile payment app like SmartTrade, you’ll be among the first people to get away from the contracts, broken fittings, and high fees of mobile credit card readers. You’re smart about your business, and you’re smart about using technology to run your business better. So quit using a credit card reader that keeps you in the dark ages of mobile payment. Don’t get left behind! 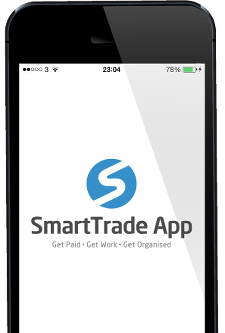 Download SmartTrade for free on your mobile and try it out today. We know you’ll be impressed.